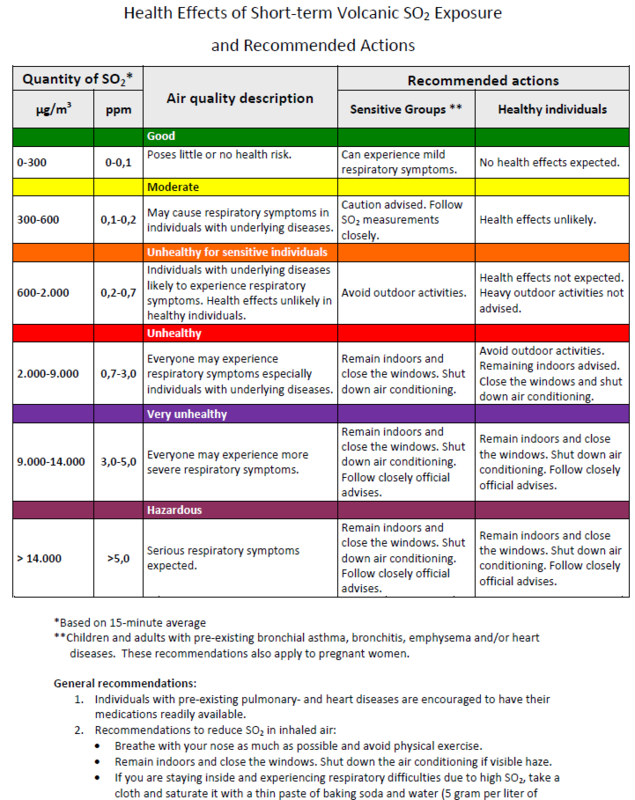 The Civil Protection Department monitors a web page with SO2 concentration measurements (see the link at Umhverfisstofnun below). 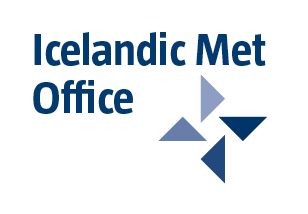 CPD also receives information from various entities around Iceland that are equipped with SO2 portable meters (“hand” meters). If SO2 concentration rises above a value decided by Directorate of Health CPD sends out an announcement (e.g. Twitter, Facebook, avd.is, almannavarnir.is). If health threating values (as decided by Directorate of Health) are reached SMS is sent to all mobile phones in the area in question (cell broadcasting). So far “cell broadcasting” gas have suffered from some distribution problems that hopefully will have been solved next time this feature need to be used. 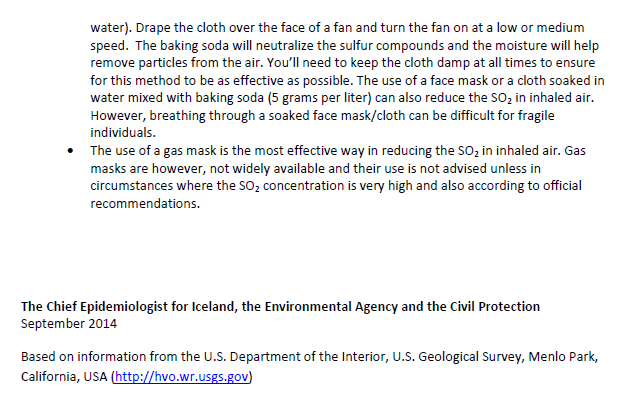 The Icelandic Met Office measures SO2 at the eruption site and issues daily forecast on SO2 concentration in the atmosphere based on SO2 measurements and weather conditions. There are 2 maps that show forecast for current day (green spread area) and for the next day (rosa spread area).